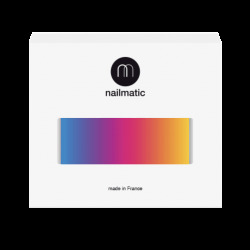 This non-toxic, vegan nail color has been formulated especially for kids. No nasty chemicals and no need for nail polish remover. It goes on easily, dries in a flash and—like magic—washes off with soapy water. Tadaa! 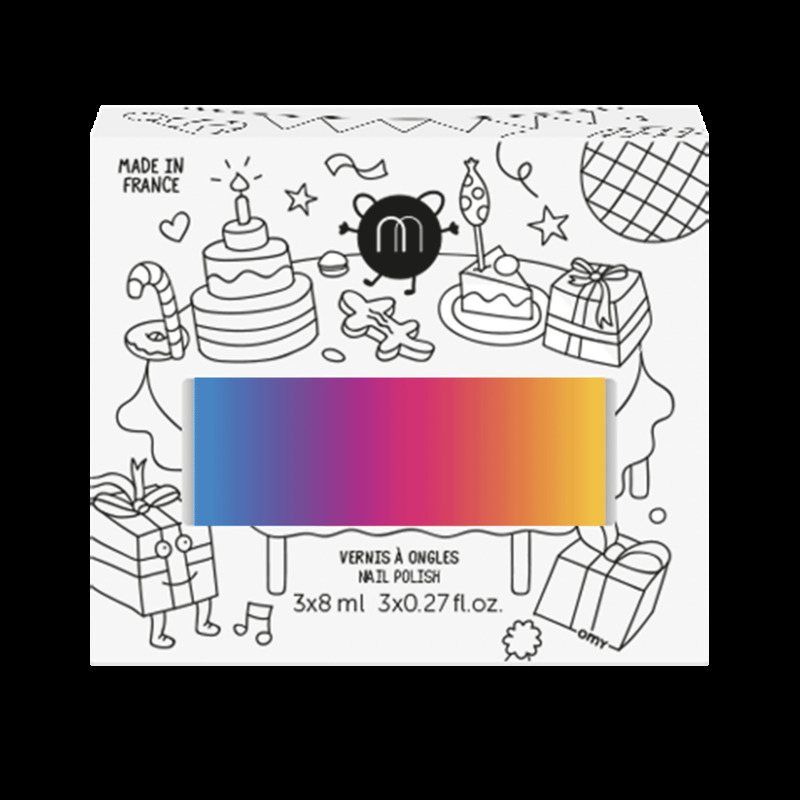 Wacky packaging co-designed with OMY. Made with love and good vibes in France. 1. Release Piglou’s magic by giving the bottle a gentle shake. Got a thumb sucker on your hands? Encourage them to kick the habit with a sneaky little incentive: they promise to stop and you reward their efforts with a snazzy nailmatic kids’ nail polish to show off their nice neat hands. It’s a win-win! Ingredients: AQUA (WATER), SODIUM STYRENE/ACRYLATES COPOLYMER, PPG-3 METHYL ETHER, SYNTHETIC FLUORPHLOGOPITE, PHENOXYETHANOL, DISILOXANE, SODIUM BICARBONATE, HECTORITE, SODIUM DEHYDROACETATE, PEG-12 DIMETHICONE, PROPYLENE GLYCOL, PPG-2 METHYL ETHER, PEG-150/DECYL ALCOHOL/SMDI COPOLYMER, POTASSIUM SULFATE, ETHYLHEXYLGLYCERIN, SODIUM HYDROXIDE, PEG-40 CASTOR OIL, T-BUTYL ALCOHOL, STYRENE/ACRYLATES COPOLYMER, ISOOCTANOL, BENTONITE, PPG-30 BUTYL ETHER, AMINOMETHYL PROPANOL, SILICA DIMETHYL SILYLATE, TOCOPHEROL, CI 77891 (TITANIUM DIOXIDE), CI 77007 (ULTRAMARINE), CI 73360 (RED 30 LAKE), TIN OXIDE.